The scope of CSI can include Service Practices Improvement – the warranty of the services – and Service Systems Improvement – the utility of the services. Tipu talks a lot about Service Practices Improvement because that is generic to all organisations. Tipu is equally useful for driving Service Systems Improvement, but the actual Mahi will be unique to your systems. One last thought: Tipu isn't actually tied to CSI. Tipu could be used as a method of improving anything at all. This page will be updated as ideas and - later - experiences accumulate. There is a comment link at the bottom - let's hear your thoughts. And check back here regularly. The full Tipu Method is now available to invited Beta reviewers (it is not yet released on our resources page until it goes GA). If you would like to actually use Tipu to implement and run a CSI programme of work, please register on the Tipu Pilot programme. Two Hills reserves the right to close the Pilot programme off when a sufficient (limited) number of sites register. Priority will be given to sites piloting Tipu in a non-IT context - i.e. for improving business services. 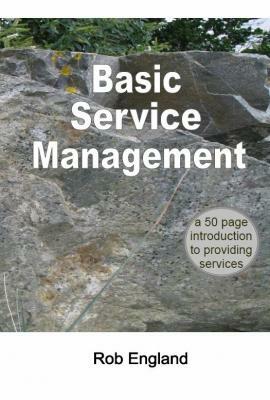 BSM is a 50 page description of how to plan and provide services, or put another way: how to manage your organisation. Service Management is the potent idea that could change the way you run your organisation. This useful little book is a guide to operating any enterprise, from the point of view of the services it delivers. After all, delivery is what success is about.